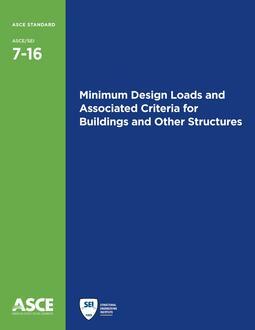 This helpful guide focuses on the wind load provisions of Minimum Design Loads for Buildings and Other Structures, Standard ASCE/SEI 7-10, that affect the planning, design, and construction of buildings for residential and commercial purposes. 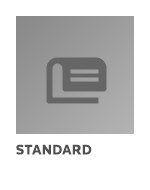 The 2010 revision of the Standard significantly reorganized the wind load provisions, expanding them from one to six chapters. 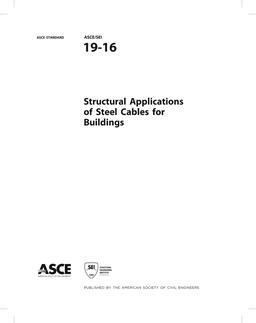 Simplified methods of performing calculations for common situations were added to the Standard, and guidelines for components and cladding were gathered in a single chapter. Wind Loads provides users with tools and insight to apply the Standard in everyday practice. This revised and updated guide introduces readers to the relevant sections of the Standard and provides a comprehensive overview of the design procedures and the new wind speed maps. Ten chapters with 14 worked examples demonstrate the appropriate use of analytical and simplified procedures for calculating wind loads for a variety of common structure types. The guide also answers more than 30 frequently asked questions, grouped by topic. This book is an essential reference for practicing structural engineers, as it offers the most authoritative and in-depth interpretation of the wind loads section of Standard ASCE/SEI 7-10. About the Authors: Kishor C. Mehta, Ph.D., P.E., Horn Professor of Civil Engineering, is the founder and former director of Wind Science and Engineering Research Center at Texas Tech University, Lubbock, Texas. He served as chairman of the ASCE 7 Task Committee on Wind Loads for ASCE 7-88 and ASCE 7-95. He is lead author of ASCE guides to the use of wind load provisions of ASCE 7-95, ASCE 7-98, ASCE/SEI 7-02, and ASCE/SEI 7-05. William L. Coulbourne, P.E., is Director of Wind and Flood Hazard Mitigation for the Applied Technology Council, with his office located in Rehoboth Beach, Delaware. He is a member of the ASCE 7 Wind Load Task Committee and the ASCE 7 Main Committee, and he coauthored the wind loads guide to ASCE/SEI 7-05.